Speedy Route: Speedy Route T-Shirts in our Online Store! 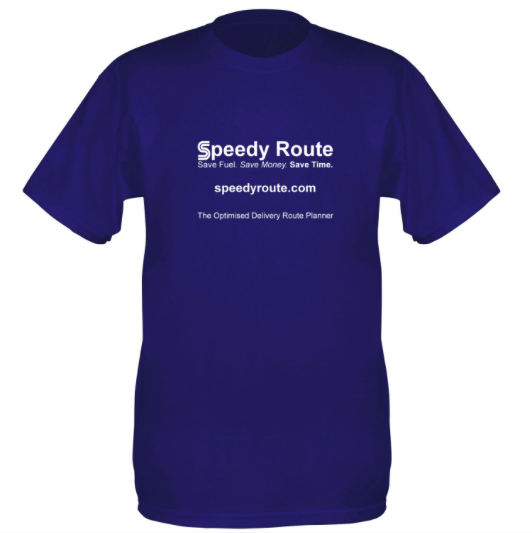 Speedy Route T-Shirts in our Online Store! Speedy Route T-Shirts are now available to buy in our online store at store.speedyroute.com! The T-Shirts feature the Speedy Route slogans on the front, and the Speedy Route 'S' logo on the back, with white text and graphics on a purple t-shirt background. We have a stack of these T-Shirts to give away to customers who purchase a new 6 month subscription to Speedy Route, so get yours while stocks last!